Skin is the body’s largest organ, and it’s very important to care for it instead of taking it for granted. Over the years, skin loses some elasticity and becomes thinner and more fragile. This makes it more prone to irritations, visible signs of aging and various skin conditions. One of the most important things you can do to keep your skin healthy is to protect it from the sun, and that includes applying sunscreen before you go outdoors. Unprotected skin is prone to dryness, wrinkles, sunspots, painful burns and telangiectasias, which is the scientific term for broken blood vessels. However, the most serious dangers posed by harmful sun rays are various skin cancers such as melanomas. In fact, 1 in 5 Americans will be diagnosed with some form of skin cancer in their lifetime. Here’s some information on what to look for in a sunscreen, so that you can keep you skin protected but still enjoy the outdoors. You’ve probably noticed that sunscreen bottles and tubes are labeled with an SPF number. This stands for “Sun Protection Factor” and it is an indicator of how much protection the sunscreen will provide against UVB radiation. UVB radiation is harmful, as it can cause sunburns as well as skin cancers such as melanoma. SPF 15 sunscreens filter out about 93% of harmful UVB rays, SPF 30 sunscreens filter out about 97%, SPF 50 sunscreens filter out 98% and SPF 100 sunscreens filter out about 99%. If you’re unsure which SPF to choose, here’s a chart that will help you select the SPF that’s best for you based on your skin tone and the length of time that you’ll be outdoors. It’s important to note that although higher SPF sunscreens filter out more UVB rays, the difference in the amount of UVA rays that they block out is negligible. 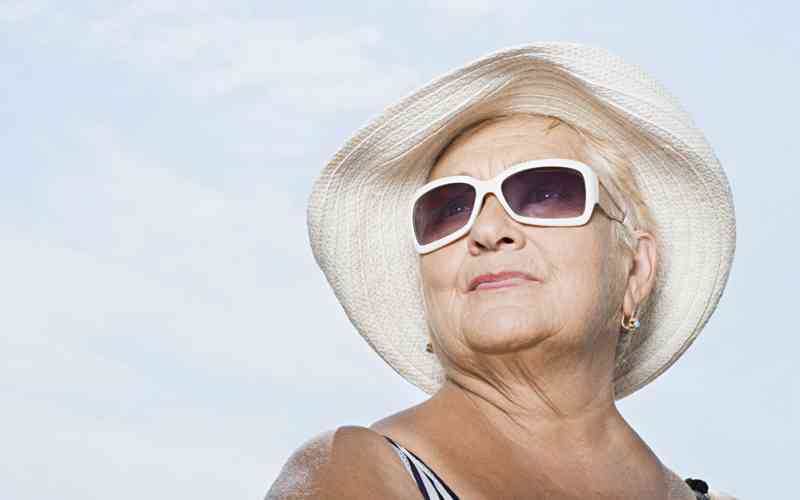 UVA rays also contribute to skin cancer and premature aging. The American Cancer Society recommends looking for a “Broad Spectrum Sunscreen” that can help protect against both UVB and UVA rays. Some sunscreens may include bonus ingredients such as retinol, Vitamin C, Vitamin A, and CoEnzyme Q10, all of which have skin anti-aging properties. Since no sunscreen will ever block out all of the sun rays, try to avoid full sun exposure during the hottest parts of the day. Experts suggest taking breaks in the shade between the hours of 10am and 4pm during the hot summer months. Also, remember to apply sunscreen anytime you plan on being outdoors. Even on overcast or cloudy days, you can still be exposed to UVB and UVA rays. The recommended amount of sunscreen per application is one ounce, and that’s around the amount you can hold in your palm. Be sure to apply it evenly, to any area that might be exposed (face, ears, neck, arms, etc.). And, don’t forget to re-apply! For best protection, sunscreen should be reapplied at least every two hours, and more frequently if you’re swimming or sweating. No sunscreen is completely waterproof, and even those that are labeled “water resistant” will only last for 40-80 minutes. So, if you find that you’re sweating or if you go for a swim, be sure to reapply your sunscreen every hour to get the best protection. There are many benefits to getting outdoors to enjoy the fresh air and the sunshine. Keep your skin healthy and looking its best with sun protection such as sunscreen, hat, sunglasses and even full coverage lightweight clothing. At Daylesford Crossing, we offer many outdoor programs and events that all contribute to a fulfilling and active lifestyle. Contact us today to schedule a tour and learn more about our vibrant senior living community.